When you need practical shorts but still want running performance, you’re going to want the Brooks Sherpa Short. Made with DriLayer® fabric, these shorts are comfortable on your skin while offering quality moisture-wicking – a must on the trails. 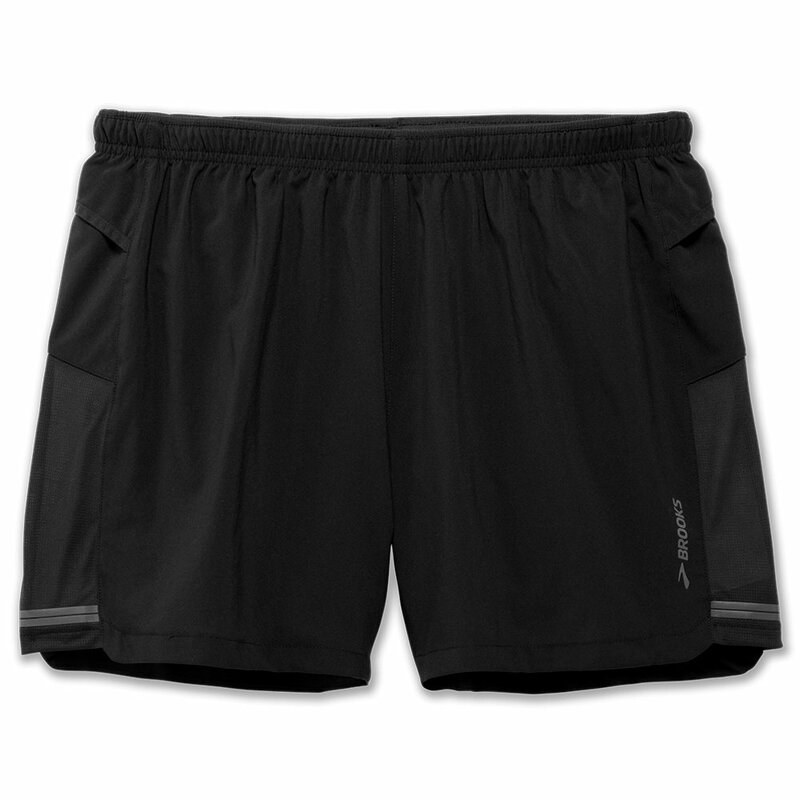 And because you want practical, these 5” running shorts also have pockets including an envelope pocket at each side ideal for your gels and a rear zippered sweat-resistant pocket that can fit your smartphone. In addition, the reflective detailing will add a bit of safety to your running gear.